We have presented below a list of top Wedding Planners in India. 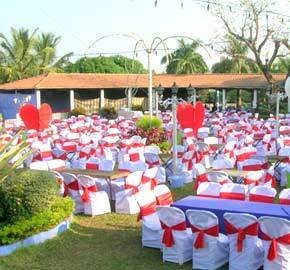 Get to know more about famous Wedding Planners located in different parts of India. India Wedding Planner - A wedding planner is an event organizer who manages everything involved in a Wedding Function/Event. The job of a wedding planner starts right from selecting an ideal venue for wedding to organizing post wedding ceremonies. There are so many things involved in a Wedding Ceremony that it's very essential to select a good wedding planner. Proper planning and brief idea about wedding ceremonies are some of the feature of an ideal wedding planner. India being a famous Wedding Destinations offers numerous wedding planners to choose from. These Marriage Planners are located in different parts of the country. But the aim of these wedding organizers is to make your wedding ceremonies a memorable one. But one must carefully study the services offered and a wedding plan before finalizing a wedding organizer in India.